New York, Pennsylvania courts uphold township fracking bans; Michigan next? shall supersede all local laws or ordinances relating to the regulation of the oil, gas and solution mining industries…. The Towns both studied the issue and acted within their home rule powers in determining that gas drilling would permanently alter and adversely affect the deliberately-cultivated, small-town character of their communities. Towns in New York are equivalent to townships in Michigan. 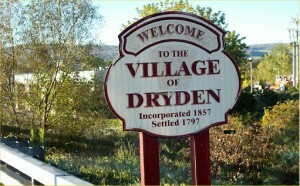 Five years after a developer began acquiring oil and gas leases in Dryden New York, the town held a public hearing in 2011. The result was a prohibition on use of land within its borders for oil-gas exploration, extraction, and storage. is known worldwide for its clean air, clean water, farms, forests, hills, trout streams, scenic viewsheds, historic sites, quaint villages and hamlets, rural lifestyle, recreational activities, sense of history, and history of landscape conservation. eliminate many of these features [and] irreversibly overwhelm the rural character of the Town. In effect, local laws that purported to regulate the ‘how’ of mining activities and operations were preempted whereas those limiting ‘where’ mining could take place were not…. We see no inconsistency between the preservation of local zoning authority and the [state’s] policies of preventing “waste” and promoting a “greater ultimate recovery of oil and gas”…. These appeals are not about whether hydrofracking is beneficial or detrimental to the economy, environment, or energy needs of New York, and we pass no judgment on its merits. The 5-2 majority opinion was authored by Judge Victoria Graffeo, viewed generally as liberal. Six townships and a borough sued. Four court justices concurred in striking down Act 13, as against three dissenters. The four did not have unified reasoning. to ignore their obligations under [the constitution] and further direct[ed] municipalities to take affirmative actions to undo existing protections of the environment…. [F]ew could seriously dispute how remarkable a revolution is worked by this legislation…. By any responsible account, the exploitation of the Marcellus Shale will produce a detrimental effect on the environment, the people, their children, and future generations and potentially on the public purse, potentially rivaling the environmental effects of coal extraction…. Protection of environmental values, in this respect, is a quintessential local issue…. I believe that in a state as large and diverse as Pennsylvania, meaningful protection of the acknowledged substantive due process right of an adjoining landowner to quiet enjoyment of his real property can only be carried out at the local level. … [T]hese industrial-like operations include blasting of rock and other material, noise from the running of diesel engines, sometimes nonstop for days, traffic from construction vehicles, tankers, and other heavy-duty machinery, the storage of hazardous materials, constant bright lighting at night, and the potential for life- and property-threatening explosions and gas well blowouts. The bottom line of all four justices is the same: Townships and boroughs in Pennsylvania are now free to ban fracking. Legal commentators in 2012 and 2014, writing without benefit of the New York decision, have concluded that prospects for local frack bans in Michigan are nil or dim. Reporters in the popular media have said the same, except less carefully. MSU Extension mis-stated the key statute in 2012, and the Detroit News misquoted it in 2014. Statutes, rules, regulations, parts….The overarching Michigan statute governing the environment is the “Natural Resources and Environmental Protection Act” or NREPA. NREPA is divided confusingly into many articles, parts, and sections. In certain of the categories there are divisions, chapters, and subchapters. Some of the sections have subsections and even finer sub-categories. Oil and gas are dealt with in article III chapter 3, subchapter 2, part 615, often called just “Part 615.” Part 615 has 37 sections and innumerable subsections. One of the subsections allows the DEQ to “promulgate and enforce rules, issue orders and instructions” for enforcement, and to do anything necessary to “implement” the “subject matter” of Part 615, “whether or not” the subject matter is spelled out in Part 615. “Rules” (sometimes also called “administrative rules”) are promulgated under Michigan’s Administrative Procedures Act, which requires public hearings and public comment in advance. DEQ has announced proposed revisions of the Part 615 rules. The public hearings for these proposals are set for July 15 and 16 in Gaylord and Lansing. Anyone may attend and speak. DEQ has other rules for contested case and declaratory ruling hearings. DEQ has proposed to rescind most of these rules. At this writing, a date has not been set for a public hearing. As noted, the DEQ can also issue “instructions” for enforcing the rules. A listing of all these instructions is here. In May 2011, two new instructions were issued related to fracking. One is about high volume hydraulic fracturing well completions. The other is about permit application reviews for wells that may be hydraulically fractured. The term “regulations” has no strict definition in Michigan. Regarding oil and gas, often the term refers colloquially to both Part 615 and the Part 615 rules together. has jurisdiction and authority over the administration and enforcement of [Part 615] and all matters relating to the prevention of waste and to the conservation of oil and gas in this state…. Every state’s oil-and-gas law is slightly different. The New York and Pennsylvania decisions do not bind Michigan courts. But they will be highly influential, albeit in different ways. The 3-justice lead opinion in Pennsylvania was authored by the court’s chief justice, viewed generally as conservative. But as the state has grown, and the demand for energy, the public interest has been threatened by casual planning of transmission lines and pipelines through unspoiled countryside. This provision underscores the common-law public trust doctrine which Michigan and the federal courts have long recognized. But the failure of Michigan convention delegates to put the public trust doctrine in the constitution itself may blunt efforts to apply the three-justice Pennsylvania logic in this state. The concurring justice’s substantive due process theory, as understood in Michigan, might have more success. But the New York court’s approach is simpler. A county or township  shall not regulate or control the drilling, completion, or operation of oil or gas wells or other wells drilled for oil or gas exploration purposes and  shall not have jurisdiction with reference to the issuance of permits for the location, drilling, completion, operation, or abandonment of such wells. Note that 205(2) does not claim to preempt bans or regulations by cities and villages. Home rule cities and villages already enjoy a broad construction of their powers and it is the intention here to extend to counties and townships within the powers granted to them equivalent latitude in the interpretation of the constitution and statutes. In section 205(2), by putting the words “location” and “abandonment” in the second clause but omitting them from the first, the Michigan legislature made the same distinction the New York court did: The state governs and preempts only technical rules for how oil-gas operations occur. But it allows counties and townships to “regulate and control” where they occur, ensuring the quiet enjoyment of land without a towering drill rig in the same neighborhood as single-family homes. State oil-gas regulations do speak of “location” in the sense of providing isolation distances of structures within a surface facility (such as the required separation of a wellhead and a flare), or the separation of operations from roads, watercourses, and sensitive areas. Part 615 also says a well cannot in most cases be within 450 feet of a residential building. Isolation radii for other sensitive areas range up to 2000 feet. Part 615 also speaks of limiting well locations generally to the “approximate” centers of “drilling units” so as to prevent the unnecessary wells and maximize efficient draining. The default size of a drilling unit is 40 acres. But these “location” references are technical and quite circumscribed. By contrast, with a single exception involving group child care homes, Michigan zoning designates land via large multi-mile swaths, prescribing uniform regulations for districts designated as residential, agricultural, industrial, commercial, undeveloped, and the like. Zoning is not about delimited perimeters around a center. And it’s not about efficient draining. In other words unlike the DEQ, planning commissions and zoning boards take into account the community’s plan and character. Communities can zone the broad areas where oil and gas operations — and all other industrial operations — may be located or abandoned. But DEQ “permitting” is done individually, well-by-well, with technical instructions specific to each well. As long as counties and townships don’t try to issue such permits they don’t enter a field “occupied” by DEQ. The character of a township or county has nothing to do with the DEQ’s job anyway, which is “prevention of waste and … the conservation of oil and gas.” There are no references to zoning in Part 615. The only zoning requirements in the DEQ rules apply to residential zones so designated before 1993. Even in an area zoned residential before then, DEQ can hold a hearing and allow a flare over the local government’s objection. The jurisdiction relative to wells shall be vested exclusively in the supervisor of wells of this state. The language dated from Public Acts 183 and 184 in 1943. There is a Michigan decision upholding preemption, but it was decided in 1994, 12 years before the 2006 change. The decision is no longer dispositive. In any event, it did not concern location or abandonment. foster the development of the [oil-gas] industry along the most favorable conditions and with a view to the ultimate recovery of the maximum production of these natural products [oil and gas]. This provision, enacted in 1939, was part of a package oil-gas bill. The Michigan Oil & Gas Association supported it as a “confidence” builder for the industry, according to a newspaper account of the day. It means that every time DEQ regulators make a decision large or small, and every time an issue comes before a judge or jury, they have to be thinking in terms of fostering the industry. The New York court saw no contradiction between its decision and that state’s very similar policy. Oil and gas are natural resources with fixed locations. A gas field cannot be moved to a more favorable site. The second decision in that case in 1990 reaffirmed the reasoning of the first one, and added that a township could “prohibit land use for [an above-ground] processing facility” altogether. But with the recent advent of horizontal drilling in newly exploited types of rock formations, the “fixed location” fact is no longer actually a fact. DEQ rules define the “well location” as its “surface location,” not the location of the gas or oil below. The two can be widely different. In a well with a 2-mile-long horizontal fracking leg, the operator is free from an engineering standpoint to drill into the leg from a surface location at either end. Other things being equal, no law would stop an operator from locating the surface hole arbitrarily, say, in a township where it had business dealings with officials. There are in fact several DEQ-permitted frack wells with the ends of the horizontal legs in different townships. Two wells — State Norwich 1-6 and 3-12 HD1 — were even permitted with the ends in different counties, Kalkaska and Missaukee. Accordingly no longer can it be said that oil or gas locations are always fixed. No longer is there always a factually “sound” basis for preemption. A zoning ordinance or zoning decision shall not have the effect of totally prohibiting the establishment of a land use within a local unit of government in the presence of a demonstrated need for that land use within either that local unit of government or the surrounding area within the state, unless a location within the local unit of government does not exist where the use may be appropriately located or the use is unlawful. This section is inapplicable to oil-and-gas drilling. By its wording, the burden of proof of the existence of a “demonstrated need” would be on the operator which seeks to drill for oil or gas. Unlike gravel and other similar commodities, oil and gas are not sold locally. They are sold on national and international markets. An operator would not be able to prove that a well it wished to drill in one township would be for the purpose of fulfilling a “demonstrated need” in that township or in one nearby. Natural gas consumed in Michigan comes from gas and oil fields located primarily in Michigan’s lower peninsula, the Texas-Oklahoma Panhandle, on and off-shore Louisiana, and Alberta, Canada. … Most of Michigan’s gas production is purchased by Michigan utilities for their customers, but some is also sold to gas marketing companies that sell gas outside of Michigan. Natural gas produced in Michigan represents about 15-20% of the total gas consumed in Michigan. As noted, cities and villages in Michigan have long been free to enact local frack bans without controversy or legal obstacles. There is controversy about counties and townships. But the logic of the New York and Pennsylvania decisions is compelling here even if not binding, given the similarities of the state laws. The Michigan supreme court showed itself recently to be friendly to the idea of local control. Legislation later undid that ruling, but only in the context of mining. 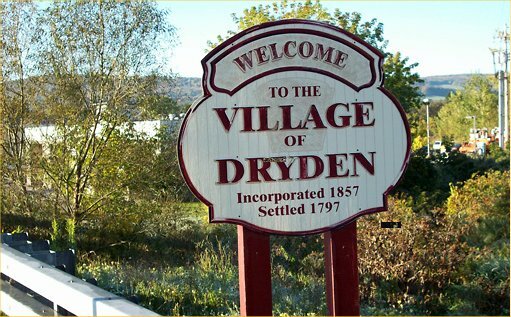 A courageous Michigan county or township, willing like Dryden and Middlefield to stand up to the industry and risk litigation, may soon be in the offing. Ellis Boal is a lawyer in Charlevoix. Last year he won an injunction against 13 Encana wells in Kalkaska County, three of which in terms of water usage would have been the largest in the US.